One Nation Under God could change the way we think about civil religion in America. Forget about the 1970s, or even the 1950s, Kevin Kruse says, this story begins in the heart of the Depression. A good book can change your questions, even if you’re not entirely convinced by the author’s answers. A stout thesis, cogently argued, sets the reader to thinking. 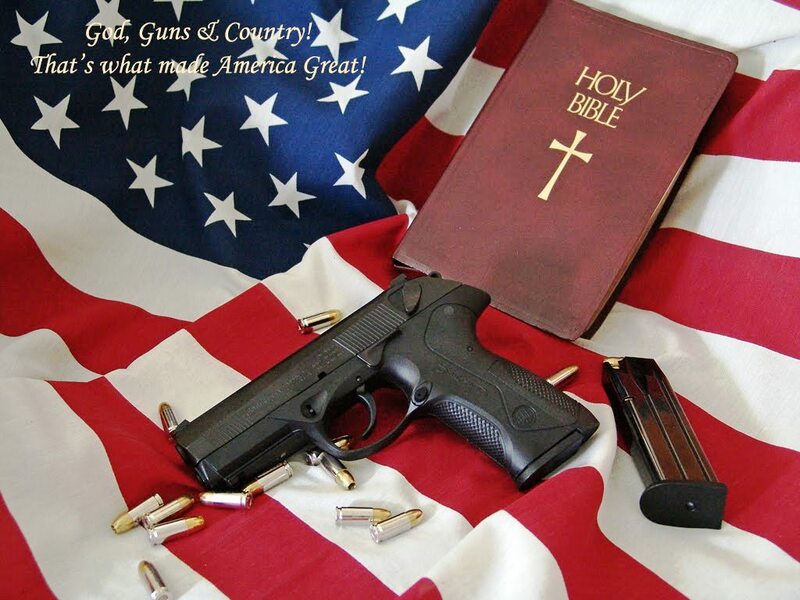 I learned the most from the arguments in One Nation Under God I agree with the least. In other words, there was a time when American politics was controlled by a strategic blend of liberal theology and progressive social policy. This brand of religious politics had its limits, of course. As Ira Katznelson recently reminded us, a New Deal that applied to people of color was a non-starter in 1930s America. But, limited as it was, this synergy between little-guy politics and compassionate religion was powerful. As Kruse reminds us, corporate critics of the New Deal got nowhere with crude appeals to middle class self-interest. 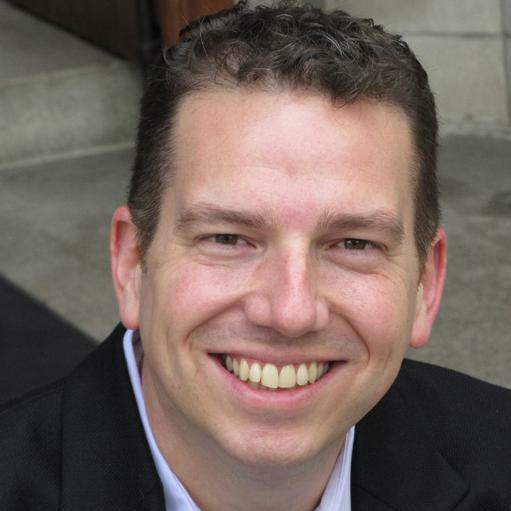 Enter James Fifield Jr., a theologically liberal Congregationalist. Trained at Oberlin, the University of Chicago and the Chicago Theological Seminary (a bastion of Christian “modernism” and the Social Gospel), Fifield was theologically liberal and politically conservative. Fifield, an inveterate organizer, created Spiritual Mobilization, a loose association of Christian clergy that drew a stark line between reliance on God and reliance on government. Fifield’s “Christian libertarianism” quickly won the support of tycoons and corporate leaders across America. You could rely on government programs or you could rely on God, Fifield taught, and America under Franklin Delano Roosevelt had made the wrong choice. A message easily dismissed when it came from Wall Street had a strong appeal when draped in religious vestments. Entrepreneurial brilliance fueled by oceans of corporate cash transformed Rev. Fifield into a force of nature. He had built up his congregation in California by telling the business community what it desperately wanted to hear, and was determined to take his show on the road. Fifield’s hermeneutic allowed him to ignore virtually everything Jesus said about unrighteous mammon. None of that mattered because “the salvation of the individual” was the sole concern of enlightened Christianity. The word “libertarianism”, in its most simplistic and utopian application, captures this worldview perfectly. Men like Fifield and Graham didn’t believe governments could help the poor without doing irreparable damage to their souls. Eventually, Fifield’s opinions would be bolstered by the libertarian economics of Ludwig von Mises and the musings of Rousas Rushdoony, a libertarian theocrat who blended reformed orthodoxy with small government conservatism. Although Fifield’s marriage of religion and politics was eventually championed by Christian fundamentalists, there was no logical connection between fundamentalism and small government economics. In an earlier era, William Jennings Bryan, though staunchly conservative in matters theological, denounced American imperialism and was famous for his trust-busting politics. 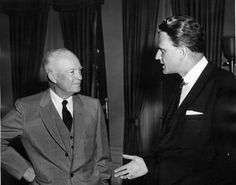 The relationship between men like Billy Graham and deep-pocket supporters like Forth Worth’s Sid Richardson was pragmatic–especially from the perspective of the money men. “The earthy Richardson had little use for Graham’s religion,” Kruse reports, “but the two shared a common faith in free enterprise.” In Graham’s mind, especially in the late 1940s, Christianity and capitalism were practically inseparable–neither would work without the other. Abraham Vereide, a Methodist minister who taught Billy Graham how to meld religion and politics, was a master at injecting Christian libertarianism into Washington politics. A fixture on Capitol Hill, Vereide organized prayer groups for politicians beginning in the early 1940s. The groups were officially nonpartisan, welcoming Republicans and Democrats alike, but that was not to say they were apolitical. Most of the Democratic members of the House breakfast group, for instance, were conservative southerners who held federal power and the activism of the New Deal in as much contempt as the average Republican did. In short, the Christian libertarianism sponsored by men like Fifield, Vereide and Graham was bought and paid for from the beginning. Entrepreneurial preachers could count on a steady stream of funding for their projects if they extolled the virtues of American free enterprise. Traditionally, historians have associated this marriage of religion and conservative politics with the torrent of anti-communism that gripped America in the post-war period, but Kruse regards this as a serious mistake. The red scare created a perfect storm for the religious salesmen at the forefront of the movement, but the script had been written decades earlier. 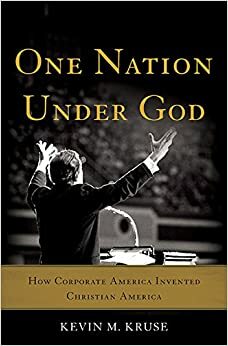 The link between corporate money and small government religion dominates the first half of Kruse’s book, then recedes into the background. But Kruse interprets men like Fifield, Vereide and Graham as unreflective salesmen who believed the customer (the business community) was always right. The idea of America as “one nation under God” was a staple of Christian libertarian rhetoric from the beginning, but this idea caught fire during the administration of Dwight Eisenhower. Unlike Harry Truman (who saw Graham as a cheesy buffoon) the war hero president was eager to harness religious themes to his political ambition. To men like Graham and Vereide, Eisenhower looked like the perfect standard bearer for the tenets of Christian libertarianism, but Eisenhower’s embraced the words and symbols of American civil religion with pure evangelical passion. He understood the strategic upside to working with men like Graham, but he wanted to unite a nation traumatized by a hellish war. For Eisenhower, the most important thing about religion was its power to unite Americans around a common understanding of their past and to dedicate them to a common plan for their future. While critics mocked the president for being ‘a very fervent believer in a very vague religion,’ that was exactly his intent. He understood that, in a diverse nation long divided along doctrinal lines, religion could serve a public role only if it was reduced to its lowest common denominator. The quest for “a common understanding of [the American] past” opened the door to the printing of “in God we trust” on paper money and the addition of the phrase “under God” to the pledge of allegiance. With the likes of Reinhold Niebuhr, Walter Reuther and Eleanor Roosevelt giving their blessing to the “under God” addition to the pledge of allegiance, Eisenhower’s plan to unify America via civil religion seemed to be working. The power of this “ceremonial deism” (Eugene Rostow’s phrase) can hardly be overstated. A study conducted by sociologist Christian Smith discovered that the real religion of American young people could best be described as “moralistic, therapeutic, deism.” “Moralistic” because the focus is on right behavior as a ticket to heaven; “therapeutic” because the goal is personal fulfillment with little attention to the greater good, and “deism” because the American God pops up when needed and disappears when his presence would be inconvenient. I would argue that Smith’s moralistic therapeutic deism is largely a product of the Eisenhower era. A powerful revival of religion was sweeping the nation, grounded in the simple idea that America had always been a Christian nation and would only survive if God remained central to the life of the nation. It was that simple. Kruse says America’s new civil religion was reinforced by popular entertainment. “When it came to the role of religion in American life,” he says, “political culture and popular culture sang from the same hymnal.” The lyrics of popular songs reflected the wholesome cast of the times and millions of Americans, from every point on the ideological spectrum, flocked to see movies like The Ten Commandments, The Robe, and The Greatest Story ever Told. Have you have ever wondered why American Christianity bears little relationship to the core teaching of Jesus? The ceremonial deism of the Eisenhower era contributed to this problem. To work its unifying magic, American civil religion honored a generic, ill-defined God, but rarely mentioned Jesus or any of the religious teachers associated with the great religious traditions of the world. For Americans who absorbed their religion from Hollywood, popular songs, the pledge of allegiance and public invocations of piety, “Christianity” was ceremonial deism and vice versa. For many Americans, catch phrases like “In God we Trust” and “one nation under God” evoke a catch in the throat and a tear in the eye. 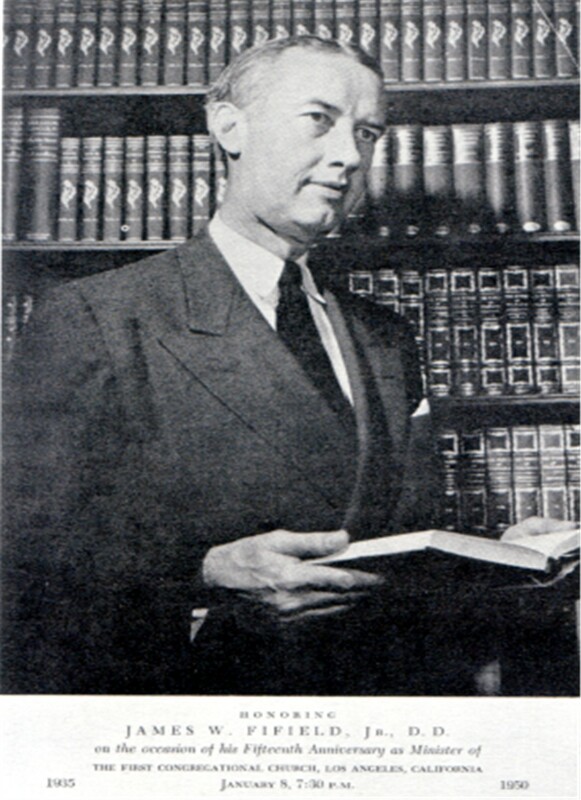 Kruse reports that a Gallup poll conducted in 1950 “found that while 80 percent of Americans believed the Bible was ‘the revealed word of God,’ only 47 percent could name even a single author of the gospels.” In a nation characterized by fervent piety and religious ignorance, the ceremonial deism of the Eisenhower years provided the perfect creed. Ceremonial deism worked well on a national stage, Kruse says, but created problems when injected into local politics. Soon school boards nationwide were mandating school prayers and Bible reading and the courts were giving these innovations a green light. Asked to justify school prayer and Bible reading in the face of legal challenges, judges argued that America had been a self-consciously religious nation from the beginning. 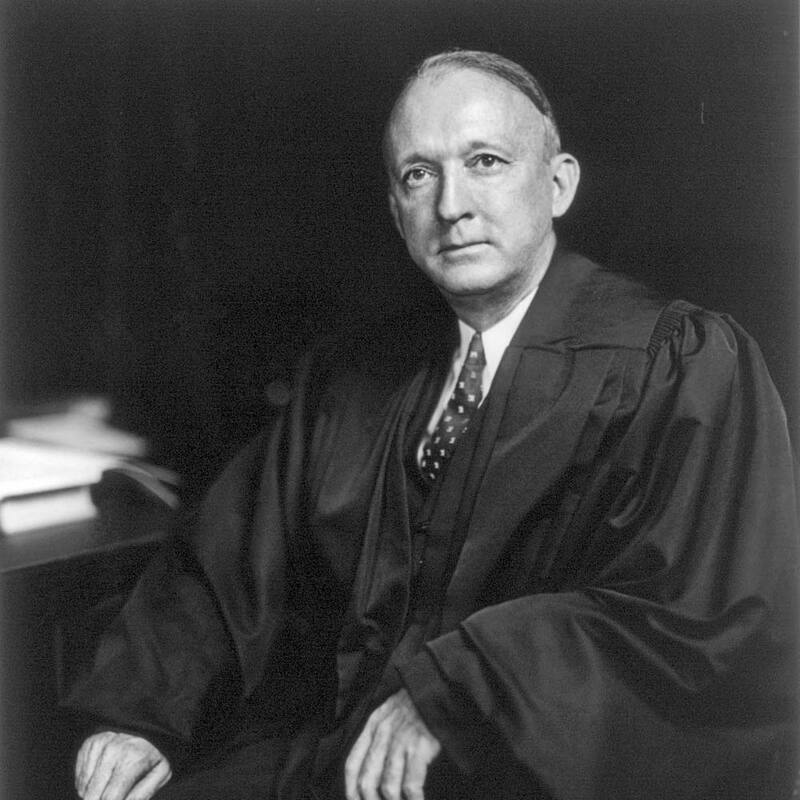 The case against mandatory school prayer was eloquently argued by Supreme Court justice Hugo Black. It is a matter of history that this very practice of establishing governmentally composed prayers for religious services was one of the reasons which caused many of our early colonists to leave England and seek religious freedom in America. In other words, the Supreme Court justice regarded the ceremonial language of public religion as too innocuous to carry any genuine religious significance. This may have been true for jurists and religion scholars, but, as the violent protests that greeted the Supreme Court’s decision made clear, for the majority of Americans phrases like “one nation under God” were profoundly religious. 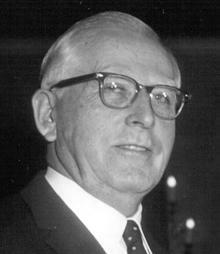 Kruse largely ignores the impact of the civil rights movement. This is a major oversight in a book that concludes with an extended contrast of the Eisenhower and Nixon administrations. He notes, however, that the backlash against the Supreme Court’s school prayer decision was especially severe in the South. “They put the Negroes in the schools,” a congressman from Alabama noted, “and now they’ve driven God out of them.” The addition of Negroes, in his mind, was as ungodly as the elimination of prayer. But Kruse never asks if the shift in national mood between the Eisenhower and Nixon administrations had more to do with the civil rights movement than with opposition to the Vietnam war. It is true that Richard Nixon, as part of his infamous “Southern Strategy,” used the iconography of ceremonial deism to drive a wedge between religious conservatives in the South and secular liberals in the North. But Kruse fails to appreciate the complex interplay between American civil religion and civil rights rhetoric. The civil religion emerging from the Eisenhower era effectively sacralized the flag of the United States and the republic for which it stood. The claim that America, unique among the nations, had been “one nation under God indivisible” from its earliest days, whether true or not, was an exercise in parochial self-congratulation utterly at odds with civil rights rhetoric. When the architects of our republic wrote the magnificent words of the Constitution and the Declaration of Independence, they were signing a promissory note to which every American was to fall heir. This note was a promise that all men, yes, black men as well as white men, would be guaranteed the unalienable rights of life, liberty, and the pursuit of happiness. For a nation in the throws of self-deification such talk was sacrilege, it was heresy. You either admitted the truth of the charge or you wrapped yourself in the flag and shouted the pledge of allegiance with renewed vigor. This helps explain why, as James Fallows argues in a recent Atlantic article, we laud the sacrifice of soldiers while giving little thought to the wars they wage. When our patriotism centers on the heroic exploits of selfless soldiers, the self-glorification at the heart of America’s civil religion is less obvious. 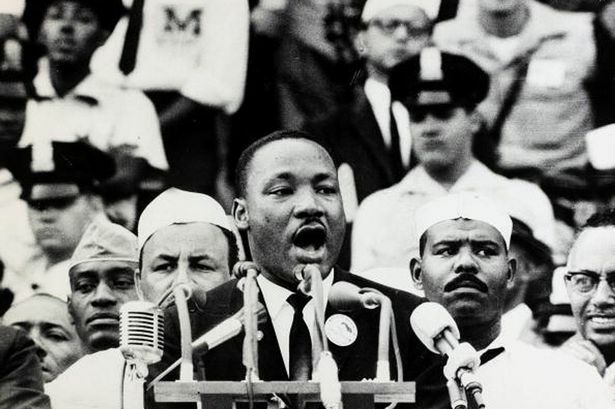 To a limited but significant extent, many American politicians and religious leaders embraced the logic of King’s critique even though this required a solemn reappraisal of ceremonial deism. Kruse devotes a large section of his book to a description of the “Honor America Day” on the 4th of July, 1970 that was planned and organized by Billy Graham and Richard Nixon. Throughout a long, hot and humid Washington day, an army of middle class, middle aged white people faced off against a thousand scruffy and profane war protesters. But, as Rick Perlstein’s Nixonland makes clear, America’s “silent majority” was even more horrified by the riots following Dr. King’s assassination than by war protesters. By focusing exclusively on one facet of this complex equation, Kruse minimizes the intimate interplay between ceremonial deism and racial resentment. In the end, opposition to the war in Vietnam and opposition to racial injustice were mirror images of the same reality. You couldn’t understand what was going on in Vietnam or Selma without rethinking America, and the deeper you peered into these ugly realities the more problematic knee-jerk patriotism became. Kruse sees the origins of the culture war in the clergy-lay divide over school prayer, and I concur. But the emotional reaction to the school prayer decision can’t be understand apart from the civil rights revolution. The years separating Eisenhower from Nixon are given short shrift in One Nation Under God; the administrations of John Kennedy and Lyndon Johnson dismissed with a few cursory lines. Perhaps this is understandable in a book about civil religion, but important pieces of the puzzle go missing. Kruze notes in passing that Billy Graham was a close friend of Lyndon Johnson’s and a big fan of the war on poverty. Really? Had Graham transcended the Christian libertarianism of his early career, or was America’s greatest evangelist irresistibly drawn to whatever spotlight was illuminating center stage? The author doesn’t help us here. That said, Kruse grasps the question at issue in the American culture war: Is America God’s holy and chosen nation or is she not? Liberals addressed the gap between aspiration and achievement; conservatives argued that, minor faults accepted, America was defined by her faith in God Almighty and would disintegrate without it. The school prayer debate, Kruse suggests, restored the God v. state logic of the Christian libertarian movement. A state that could remove prayer from the schools could just as easily remove God from the pledge of allegiance or erase “in God we trust” from our money. And if they could do that, freedom of worship might be next on the hit list. In their eyes, liberty came directly from God. If Americans ever came to believe that their rights stemmed from the state instead, then those rights could just as easily be taken away by the state. Thus, the debate for the pro-amendment side was about much more than school prayer; it was about the survival of the nation. The clergy-laity split of school prayer was particularly prominent in Baptist circles. Denominational leaders, led by the Baptist Joint Committee on Public Affairs, reinforced the traditional Baptist emphasis on the separation of church and state. The rank and file moved in the opposite direction. The resulting disconnect eventually would eventually lead to civil war within the Southern Baptist Convention as savvy conservatives tapped into grassroots frustration. Coming to power five years after the school prayer controversy, Richard Nixon worked the cognitive disconnect between liberals and conservatives to his political advantage. In the process, Billy Graham was manipulated by a conniving and profane president who viewed religion as grist for his political mill. The Nixon White House had hoped to repeat the earlier work of the Eisenhower years, in many cases tapping the same political and religious figures for leadership positions, the same conservative philanthropists and corporations for funding, the same patriotic and fraternal organizations for grassroots support, and even some of the same sympathetic entertainers as its public face. But the political climate had been thoroughly transformed. The rhetoric of ‘one nation under God’ no longer brought Americans together; it only reminded them how divided they had become. Kruze suggests that the religious revival of the Eisenhower era eclipsed a culture war sparked by opposition to the New Deal. But, as the travails of the Nixon administration made clear, the culture war had merely been postponed. With the advent of the Reagan administration, the Christian libertarianism of James Fifield had merged with the ceremonial deism of the Eisenhower years? Whatever the case, our current crop of corporate-sponsored preacher-politicians move with ease between the nation-worship of 1950s-style civil religion and the tenets of small government religion. Men like Ted Cruz don’t hate the government so long as they control it. And the shape of civil religion keeps evolving. In post-9-11 America, the flag continues to unite Americans; open carry laws are valued for their power to divide. Has an AK-47 wrapped in Old Glory become the shape of an emerging civil religion? The folks who find this imagery compelling are ostensibly in the Jesus camp. But one wonders if they understand the non-violent logic of Jesus any better than their cultured despisers. Great article Alan. Excellent background on the collaborative history of government and religion in the U.S. The phrase, “One nation under God”, always seemed to me to be a harmless fantasy. Having the words, “In God we trust”, on money seemed to me to be hypocrisy betrayed by the maintance of the military establishment. Why the military if we believed the motto on money? « Does God need the Third Degree?